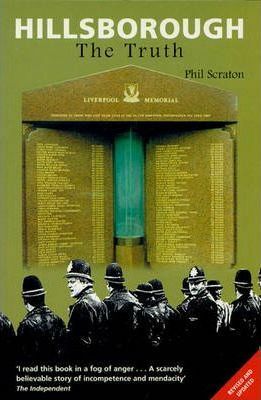 Hillsborough: The Truth was first published in 1999 to universal acclaim. Now, following the private prosecution for manslaughter brought by the bereaved families against two senior police officers, this revised edition considers the background, progress and implications of that court action. It examines the conduct of the seven-week trial, the legal arguments, the key evidence, the cases for the prosecution and defence, the judge's controversial direction and the outcome. The jury, while acquitting his assistant, failed to reach a verdict on the match commander, Chief Superintendent Duckenfield. The judge then refused a retrial. Using verbatim accounts, the book's detailed analysis demonstrates the inadequacy of the law and the inappropriate breadth of judicial discretion, which undermines and inhibits such cases. Hillsborough: The Truth is already established as the definitive, unique account of the disaster - in which 96 men, women and children died, hundreds were injured and thousands traumatised - and its long-term aftermath. It reveals the contradictions between the Taylor Inquiry and the anachronistic and controversial inquest system, which returned verdicts of accidental death when negligence had been clearly established. It also exposes the appalling treatment endured by the bereaved and survivors in the immediate aftermath; the inhumanity of the identification process; problems concerning the emergency response and standards of medical care; and the systematic review and alteration of police statements by South Yorkshire police managers and their solicitors - evidently approved by the West Midlands police investigation team and Lord Justice Taylor. Powerful, disturbing and harrowing, Hillsborough: The Truth puts the disaster into the context of institutional complacency, which made a tragedy on this scale inevitable. It shows how the law fails to provide appropriate means of access, disclosure and redress for those facing the consequences of institutional neglect and personal negligence. And it tells how ordinary people can suffer when those in authority sacrifice truth and accountability to protect their reputations.